Welcome to my second article of the series that I'm creating in partnership with the Tourism Department of Leuven. 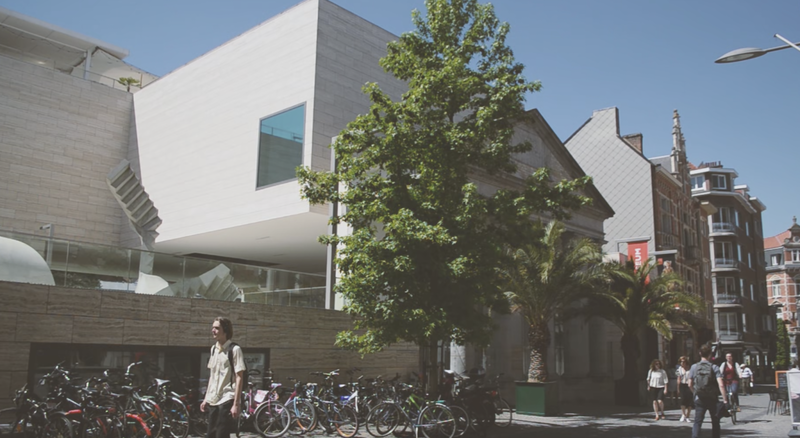 This time I will talk about the M-Museum, an exquisite and innovative place, which unites people with art in a very engaging way. Although quite new, officially opened in 2009, the M-Museum continues and keeps the original collection of the old museum founded in 1823, which was located on the second floor of the old Town Hall. Encompassing a collection of more than 52'000 pieces, its permanent exposition is rich and full of history, especially from the late Gothic period, as well as the 19th century, including, among many others, masterpieces from Dirk Bouts and Jan de Caumont. From ancient to contemporary art, the Museum constantly hosts new expositions. I suggest you check their agenda before planning your trip to Leuven, you may find delightful surprises, like the new exposition of the Finish visual artist and filmmaker Eija-Liisa Ahtila. For me, the M-Museum is the cultural centre of Leuven, a plural place which tries to reinvent itself, embrace diversity, becoming this way an essential community-building pillar of the town. In their garden, many free events are hosted, especially during summer, from open-air cinema, concerts and activities for babies and kids, integrating people from any kind of backgrounds. You should definitely come by during this time to experience the vibe yourself.